The cost of living in London is low compared to most other cities in southern Ontario. The average price of a home in the St. Thomas and London area in 2016 is $274,383, which is lower than the national average of $467,082, according to the London St. Thomas Association of Realtors. The cost of living per month in London is $2,216.93 per month. This includes the cost of groceries, utilities, rent, transportation and so forth. If you have a child or family, the cost of living can increase. Here is a breakdown of the expenses. Rent The average cost of rent for a one-bedroom apartment in 2015 is $781 each month. As of 2016, a two-bedroom apartment in London costs $960 per month. Utilities Utilities include electricity, water, natural gas, and even cell phones. In London, utility expenses can account for $70 -$150 each month. Groceries The average household grocery in London is $50 a week; this adds up to $200 a month. Transportation An adult pass in London costs $63-$90 per month. The transportation cost is even higher (up to $500) if you have a car. To learn more about London, click here. London has a low cost of living but the city’s cost of living is increasing by the day. As shown above, singles may spend a little less but it may not be long before you find a life partner and have a child. The cost of London life insurance for families may depend on the size of the family and their lifestyle. Moreover, you need to protect the financial future of your family and ensure that your eventual death or loss of income do not put them in a difficult financial situation. This is why you need to go for a reliable London life insurance coverage. To read more about London life insurance, click here. How Much Should Be the Minimum Insurance Coverage Be For a London Resident It is usually important to know the minimum amount of coverage suitable for you to make the most of your life insurance coverage. The minimum or suitable amount of life insurance coverage for you will depend on your lifestyle and it is usually better to consider your annual income or cost of living to decide the minimum life insurance coverage for you. Most people prefer to go for at least 10 times their annual income and it is also common to go for life insurance coverage up to your annual cost of living. Life Expectancy for London Residents London has an overall life expectancy of 82 years; however, the life expectancy for London males is 79.7 years while the life expectancy for females is 84.2 years. How Much Are London Life Insurance Rates London life insurance rates suitable for you can be determined by several factors. You need to know these factors and ask yourself a few questions in order to choose a suitable life insurance rate. Here are a few questions and factors to consider. What amount of London life insurance coverage is suitable for me and how long do I need the coverage? What type of London life insurance coverage should I go for? Which London life insurance provider should I choose? Should I buy a life insurance product and coverage from a bank, an insurance broker or an insurance company? To find more information about where to buy London life insurance click here. London Life Insurance News Great-West Life Co., the parent company of London Life, intends to cut their workforce by 13% and London Life will absorb about one-third of the job cut (roughly 430 jobs) nationwide. The job cut is a cost-cutting strategy of the Canadian insurance giant. 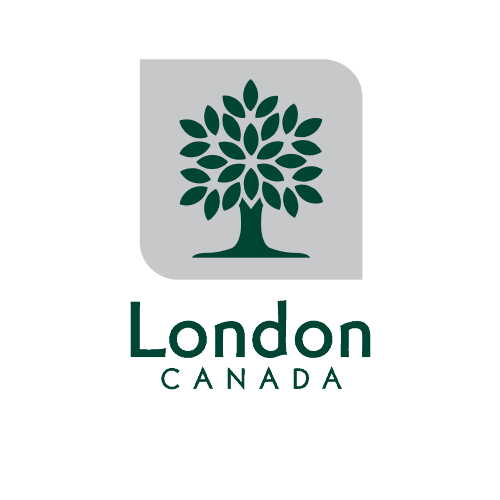 London Life is one of the largest and most notable employers in the city of London, Ontario, with up to 3,300 staff in the city. Paul Mahon, the chief executive at Great-West Life Co. said the number of people laid off will be reduced by voluntary buyouts, the creation of new jobs and attrition, especially in the digital sector. He said that the steps they are taking will position them for growth. He also pointed out that they have huge automation over the period but have also grown the company. Mahon stated that customer expectations are changing. Customers want access to a website and digital tools so that they can serve themselves; the insurance giant has to invest in these services but the customers do not want to pay more. Customers want these digital services to be at the same cost or even lower than the traditional services. Gerry Macartney, the chairman of the London Chamber of Commerce, said he hopes the setback from London Life job cut will be temporary. He also said that it would have an impact on the local economy but some jobs may come back. Macartney believes London Life is committed to the city of London. To learn more about London life insurance news click here.